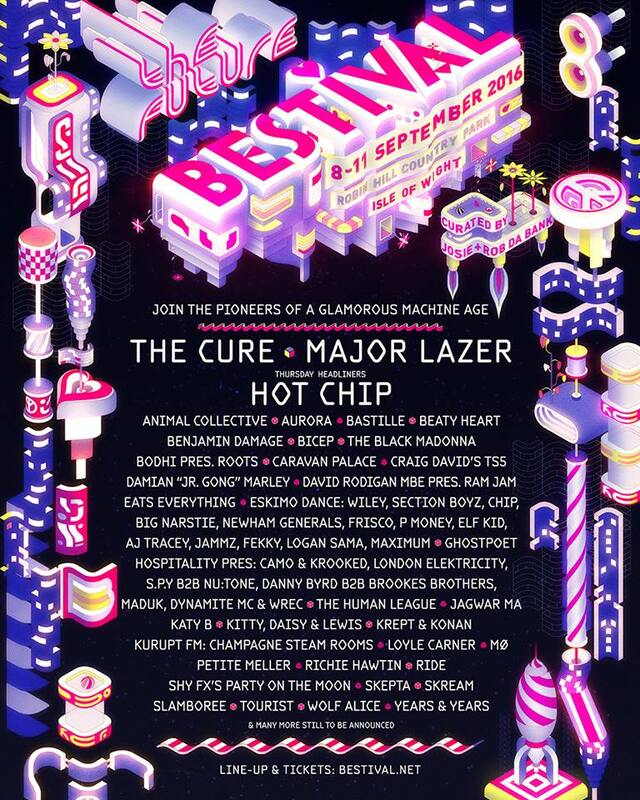 Following their recent ‘future theme’ announcement, Bestival organiser Rob Da Bank has confirmed he will be joining forces with Danny L Harle and Aled Jones to pay tribute to Jungle and DnB in an epic one-off set. And you wouldn’t be wrong in thinking it was Classic FM’s Aled Jones (who shot to fame as a youngster providing the vocals for The Snowman’s iconic Walking In The Air) – unbeknownst to us, Jones has an apparent “encyclopaedic knowledge” of drum n bass!!! Needless to say this is as interesting as it is exciting, and in fact adds to the event’s ethos of “only at Bestival”. You really won’t want to miss this! In other Bestival news, this morning it was announced that Rob Da Bank and his wife Josie are to be named Honorary Fellows of Goldsmiths, the university where they first met in the 1990s. Their love of festivals (specifically Glastonbury), led to the couple launching Bestival in 2004, and they haven’t looked back since! Congrats from all of us.